 The Municipal Bus departs from the Port of Antiparos, opposite Agia Marina. Port – Beaches: Panagia, Glyfa, Apantima, Soros, Agios Yeorgios. The ticket is priced at 1.60 euros and is purchased aboard the bus.